Jesus: If you're going to take sky-diving lessons, you need to pay attention in class. this show is well-written, funny and actually contains some surprises. 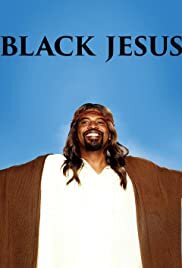 I read a few reviews claiming that it mocks Christianity and so on but believe me, those people haven't watched the show. I say that because the reviews they write complain about things that this show simply doesn't contain. 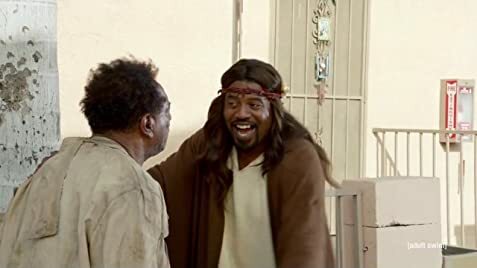 the show is about a black Jesus in Compton who hangs around a crew of failures and whilst he intends to grow weed, he holds high morals akin to the Christian Jesus. It's a witty show not totally unlike the movie "Friday" but with a lot of heart and uplifting moments. Not overly odd like a lot of Adult Swim stuff. I liked it and I'd recommend watching the show before you judge it.